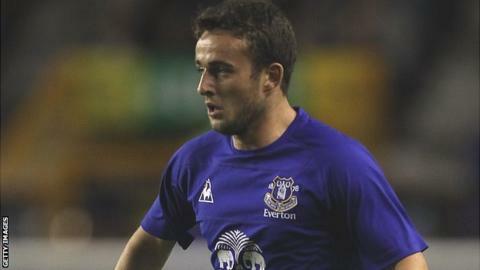 From a superstar youth career and record-breaking senior debut to a brush with the law, a failure to win a first-team place and a decision to drop down the divisions: former Everton forward Jose Baxter is only 20 but he has already packed a lot into his short career. The latest chapters in his story are those of a free agent and trialist - but do not go thinking this is a hard-luck tale or another wonderkid turned bad, because Baxter is not giving up on his dream. There is something a little different about his situation too. Like hundreds of other players, he is without a club almost a month into the new season but, unlike most of them, he turned down a contract from a Premier League side over the summer. Baxter walked away from the offer of a two-year deal with the Toffees, his club since 1998, in order to further his footballing education. Instead, his search for first-team football has ended up giving him some life lessons. A unsuccessful month on trial with Crystal Palace ended with him returning in the middle of August to Merseyside and his mum and dad's house. And, from the sounds of it, the adjustment from star-in-the-making to young man without a job has been a difficult one for all parties. He has continued training on his own and with boxer friends at the Rotunda ABC gym, but he went weeks without getting a call from another club until an invitation to train with Oldham at the end of last week. "I have been stuck in the house," Baxter told BBC Sport. "When my mum comes in and asks me if I'm all right, I just say 'yeah' and give one-word answers to everything. I am frustrated and I am taking it out on the wrong people. "I grew up from age six playing football every weekend and I have never looked any further than that - but now I have had this little step back, it has made me want it more and more. I just want to get back on a pitch and play." Baxter has not done that on a regular basis for a while - which is why, unless you are an Everton fan, you might know his name best from the Fifa 12 or Football Manager games. In those virtual worlds he is a player in high demand by people pretending to be managers. In the real world, things have not been so easy. It is four years since he burst onto the scene at Goodison Park, becoming the youngest senior player in the club's history when he played against Blackburn on the opening day of the 2008-09 season. Somewhat predictably, he was hailed as the "new Wayne Rooney", although former Everton academy chief Ray Hall went further and said he was even better than Rooney had been at 16. But since then, Baxter has made only a handful of first-team appearances for the Toffees, playing as many games (15) in a three-month loan spell at Tranmere last season as he managed in all his time at Goodison Park. After being recalled from Rovers at the beginning of January, he played only 18 top-flight minutes in a single game for Everton in 2011-12, coming off the bench at the end of their win over Manchester City. Which is why, at the end of last season, he decided it was time to move on. "I just wanted to get out and play," he explained. "I'm a man now, not a little boy, and for me it is about playing every week. 23 July: "Jose's a good footballer - he can play anywhere really. Every player I try to sign, I try to make sure they can play one or two positions, and Jose is no different. He wants to come and play where the manager is going to get the best out of him, so hopefully I can do that if he stays longer. Jose realises this is the place to come because we bring youngsters on. I think he might look at us and think we are not a bad club to further his career." 4 August: "Jose is still getting fit, he's working very hard and we've got to make decisions on one or two people. But again the money is tight and it is difficult for me to give out contracts because it could backfire. I know we've got to make improvements to the squad but it's got to be right for the board." 9 August: "Jose's got quality but he's just got to work on his fitness and [deciding whether to sign him] has given me a headache. We've looked at the whole financial situation as well, but it's doing no harm for him [training with us]." 23 August: "With Jose, we didn't decide to sign him for a few reasons. He was fantastic with us but the deal just couldn't happen for a couple of reasons, which we will move on from." "It was a massive decision because I had been at Everton since the age of six and the club have been absolutely brilliant to me. "But I spoke to my dad and thought about what would benefit me. Reserve-team football is not what it was - the first teamers don't really play it anymore - and you don't actually play that often if you are on the bench for the first team. "In the past I have only played 20 matches in a year. I know some of it is down to me, when I haven't been performing or as fit as I should be, but I have not been getting enough football. "People might see [the Tranmere spell] as a step down but for me it was a step up. That was proper football - we were playing for points at a good standard and in front of a big crowd, I was playing regularly and felt myself improving and getting fitter. I decided I wanted more of the same." It appeared his chance might come at Palace, for whom Baxter played five pre-season friendlies, but his spell at Selhurst Park ended without a deal. "There was a contract there and the manager Dougie Freedman told me to go and speak to my family and come back," Baxter said. "I did that, and I wanted to sign, but Freedman said the chairman was not being as helpful as he was. He told me to come down, get in his face and he would try to push it. But it just didn't happen. "I did push and push but it didn't go through." After that, until his old Everton reserve-team boss Alan Stubbs arranged for him to go to Oldham, Baxter had not even been offered so much as a trial. There might be a couple of reasons for that. Although Everton would not be due any development compensation for him because his new contract offer was at a reduced wage, Baxter thinks the money he was on might be putting some suitors off. He also fears a past misdemeanour might be playing a part. It was 2009 when the car in which Baxter was travelling was stopped in the Kirkby area of Liverpool. Police found forged money and cannabis inside and arrested all three occupants. "A couple of lads where I grew up had asked me for a signed top for their new-born baby because I was a lad from their area who had just come on the scene at Everton," Baxter recalled. "I went to get it done and I was bringing it down to them, but little did I know what was in the car I was in. It was nothing to do with me and it got blown out of proportion a bit." Baxter was released without being charged but, as "the new Rooney", that did not stop him making the headlines. "I think some managers might have put me down as a bad lad when that came out," he said. "But I have never been down that road. I have got good people around me." Now Baxter just wants to make the right sort of headlines again. He is keen to earn a deal at Oldham and is at pains to point out that money is not his motivation. "It doesn't matter to me. I just want to be smiling again and playing every week. I just want my chance and hopefully I will get it soon."